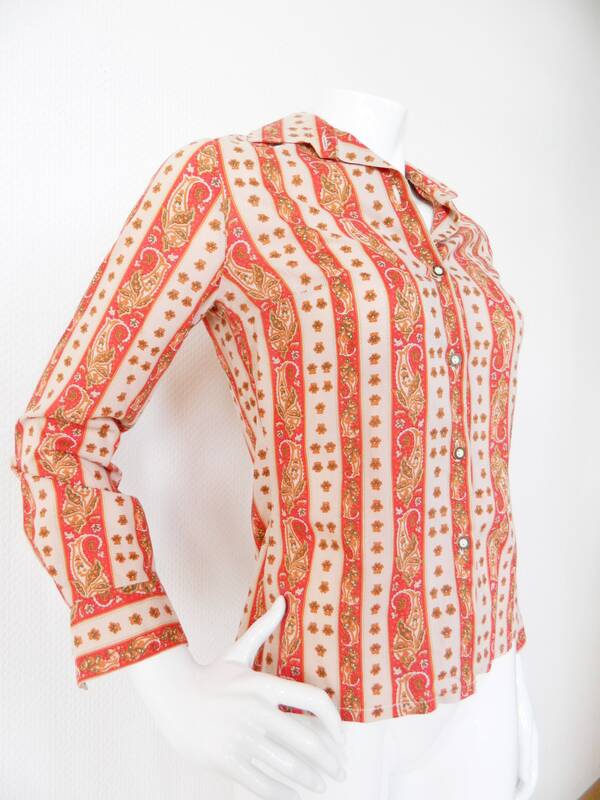 Cute blouse with buttons in horn-look. 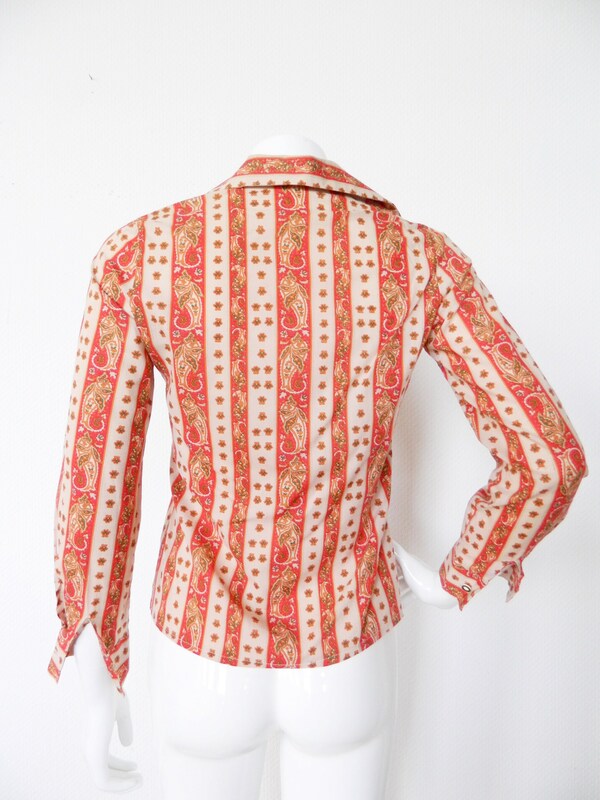 The blouse is patterned in red. Cotton and synthetic. Very good Vinatge condition. 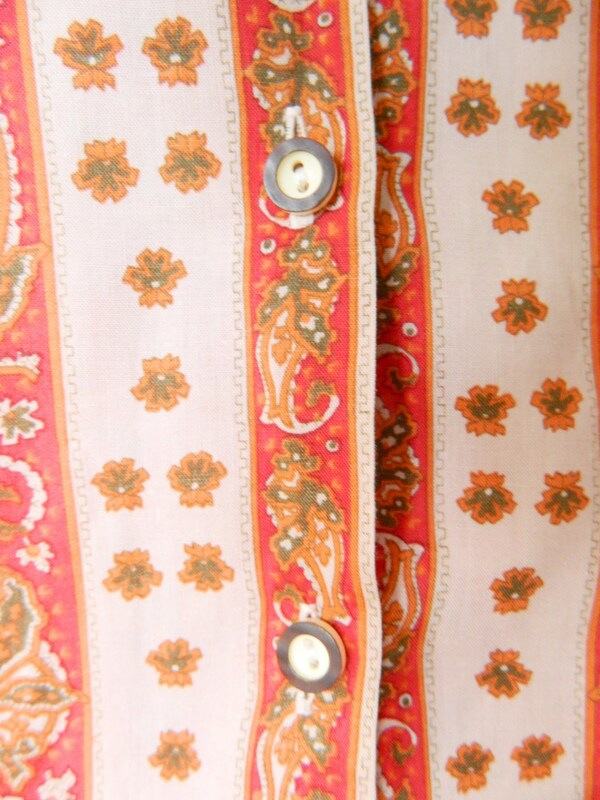 Sweet blouse with buttons in horn-rimmed optics. 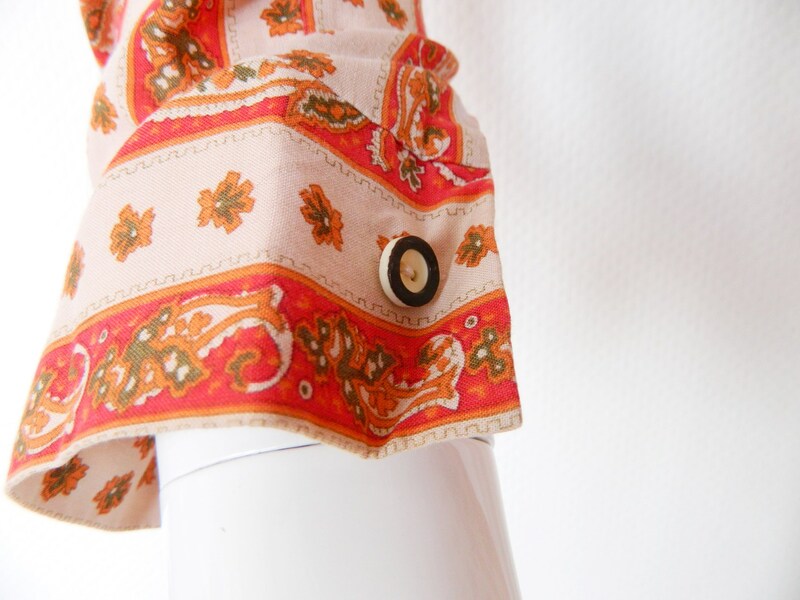 The blouse has a pattern. Cotton and synthetic. Very good Vinatge condition. 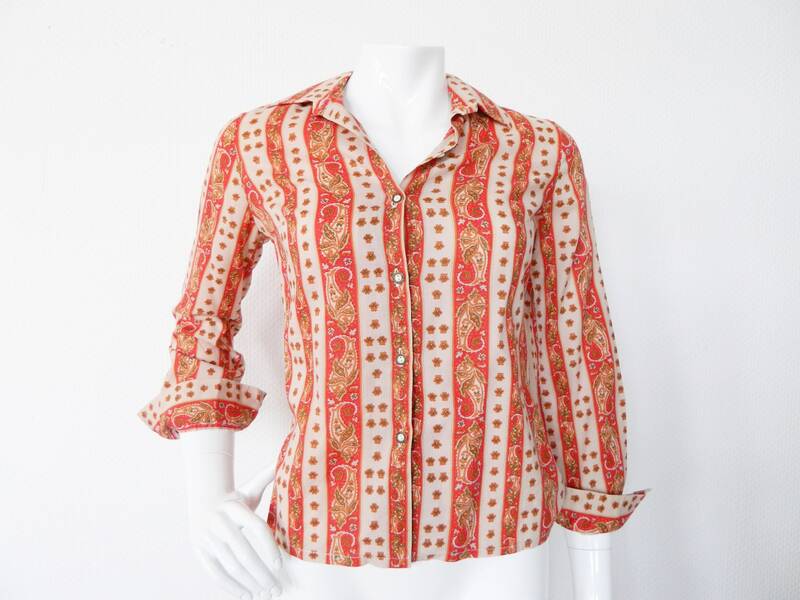 Length 56.5 cm, 18 "
Chest 45 cm, 18 "
Waist 42 cm, 16 "
Sleeve 57 cm, 22 "